Modify your pics by adding special movie effects! Get “Movie Effects Photo Editor” for free and decorate your pics with the best free photo editing software on the market. Enter your new fun photo booth and imagine you are a star of an horror, sci-fi or action movie. Add amazing explosions, zombies, aliens or dinosaurs and take people’s breath away. Don’t miss the best photo fun in your life – add cool photo stickers to your pics and start with photo manipulation now. ⚓ Create a photo manipulation with realistic photo stickers! ⚓ Easy to use software for fun photo editing! ⚓ Play the best movie games for boys and girls! ⚓ Decorate your pic with a huge number of fun photo stickers! ⚓ Make awesome photo manipulations with various photo stickers! ⚓ Amazing designs with stunning explosions, UFO, aliens, zombies and dinosaurs! 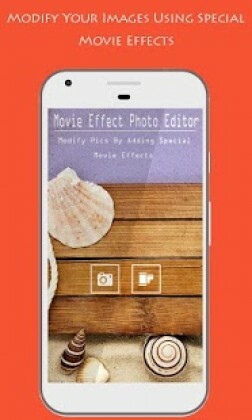 ⚓ Photo editor stickers from Movie Effects Photo Editor app can be easily attached to your pics! 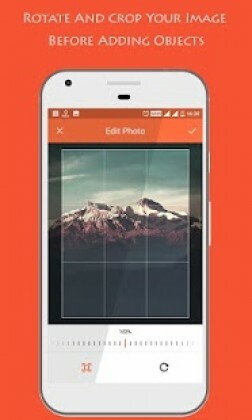 ⚓ Upload any image from your mobile device and start photo editing! ⚓ Take pics or a selfie with your candy camera and add some super photo effects! ⚓ Apply movie fx stickers and then rotate, resize and move them the way you like! ⚓ Cool camera photo effects that will make your photo manipulation look realistic! ⚓ Enjoy the beauty of photo art and put some special effect to your pics! ⚓ Personalize your pictures and put text on pictures! ⚓ Share the best photo montage with your friends on Facebook, Instagram, Twitter! 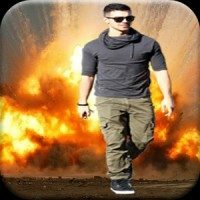 f you like watching action movies and you love editing your photos, try out this movie creator photo montage maker now. Get your boring pics and make a miracle out of them. Apply some realistic pic stickers from Movie Effects Photo Editor app that will make your photos look like an action scene from the movie. Add a meteor crush or explosion effects and leave your friends speechless. Set your car on fire or imagine that this is a war zone. Pretend that there is an alien invasion – make a fantastic photo manipulation with a UFO and make the best photo prank ever. Unleash your creativity and put some SFX in your photos! From now on, photo editing will never be the same! Prepare for the zombie attack! This is a super cool zombie photo booth that will transform all your pics and make it so awesome. But that is not all – your new photo lab picture editor FX has so many options and effects that will make you have fun for days. Ghost in photo is just one of the best photo manipulations that can scare your friends to death and make you laugh out loud so much. So, don’t hesitate, get Movie Effects Photo Editor right now and experience a new level of fun!